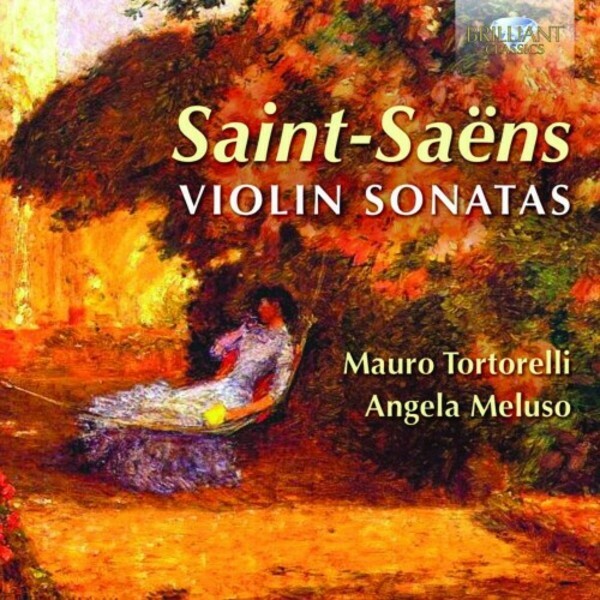 The violin sonatas by Saint‐Saëns are not standard repertoire, and yet they fully deserve to be played more frequently - they radiate that typically French esprit, charm and brilliance for which Saint‐Saëns is noted, and they are effective and challenging concert pieces with immediate public appeal. This new recording presents both the violin sonatas, and two shorter works for violin and piano: the Tryptique Op.136, in which the composer serves exquisite 'chinoiseries' and the lovely Berceuse Op.38. This is excellent playing of a high technical and musical level by Mauro Tortorelli and Angela Meluso, who have already recorded extensively, their Naxos recording of violin works by Sivori being highly praised in the press. Liner notes on the music and artist biographies are contained in the booklet.